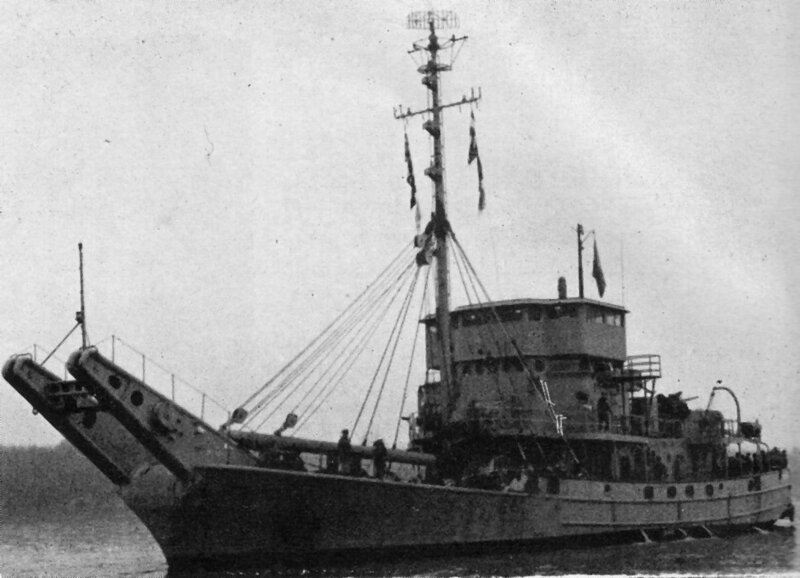 ↑USS Catalpa (AN-10). 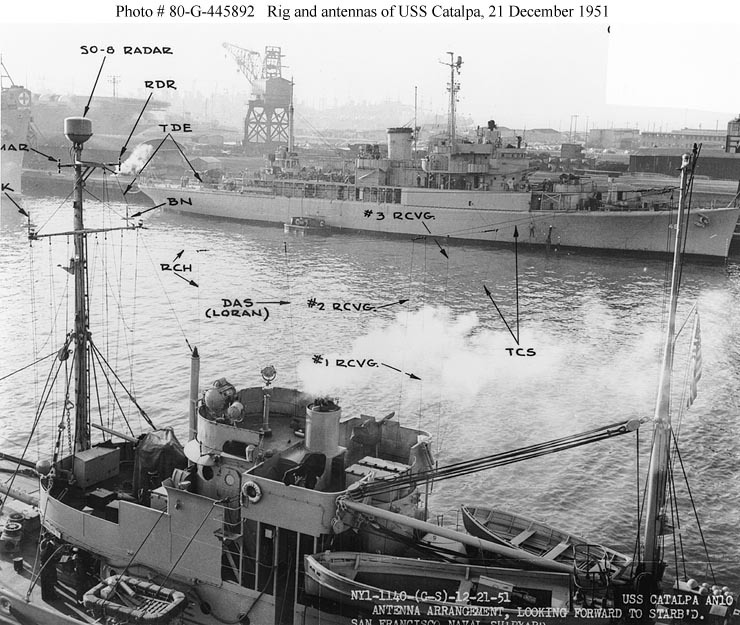 An annotated view of her rig showing the arrangement of her radar and other electronic antennas. Photographed at the San Francisco Naval Shipyard, California, on 21 December 1951. USS Orca (AVP-49) is shown in the background a week after being reactivated. Official U.S. Navy Photograph, now in the collections of the National Archives. AN-39 Everett Pacific Shipbuilding & Dry Dock Co.
AN-41 Everett Pacific Shipbuilding & Dry Dock Co.
AN-42 Everett Pacific Shipbuilding & Dry Dock Co.
AN-43 Everett Pacific Shipbuilding & Dry Dock Co.
AN-44 Everett Pacific Shipbuilding & Dry Dock Co.
AN-45 Everett Pacific Shipbuilding & Dry Dock Co.
AN-46 Everett Pacific Shipbuilding & Dry Dock Co.
AN-47 Everett Pacific Shipbuilding & Dry Dock Co.